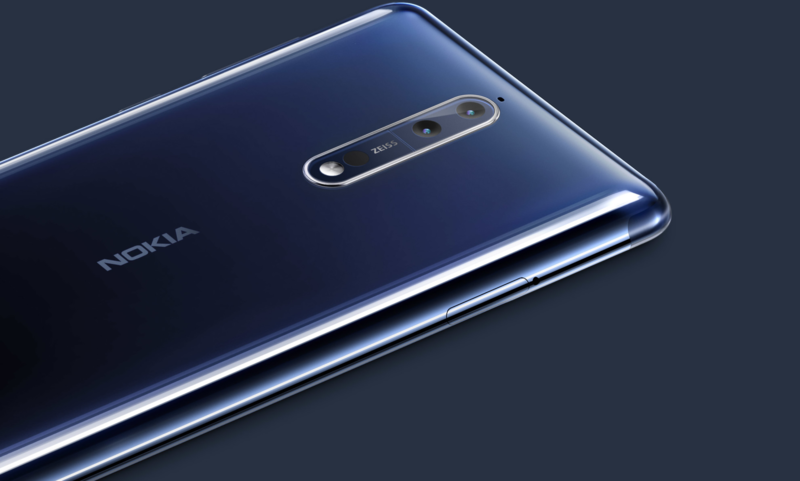 HMD Global has confirmed to the German WinFuture.de site that the Nokia 8 variant with 6GB of RAM and 128GB of internal storage will go on sale in the country on 20th October for a suggested price of €669, only in the Polished Blue color. We don’t know if the German market will be the first to get the more powerful version of the Nokia 8, what I highly doubt and think that it will appear in China, India or US before in Germany. The Nokia 8 with 4GB RAM and 64GB of internal storage is already on sale in Germany for €579, so it’s not likely that the more powerful version will come first there. It seems better to start the sales of Nokia 8 6GB first in more competitive markets that didn’t receive the 4GB Nokia 8, like China, India and the US, and later offer it to the rest of the world. The Nokia 8 with more memory will be €90 or 15% more expensive on the German market, compared to the 4GB+64GB version. It’s hard to say is it a “reasonable” price increase for more memory, considering that even HMD’s CPO Juho Sarvikas said that 4GB is enough to run “Pure” Android flawlessly. To be fair, he added that in some markets where Google Play Store is restricted, more RAM is required for better performance. Update: As Nokioteca.net reports, Nokia 8 6+128GB will be available in Italy starting 2nd October for €699. The device also should arrive in Scandinavia, but the timeframe and price are unknown.